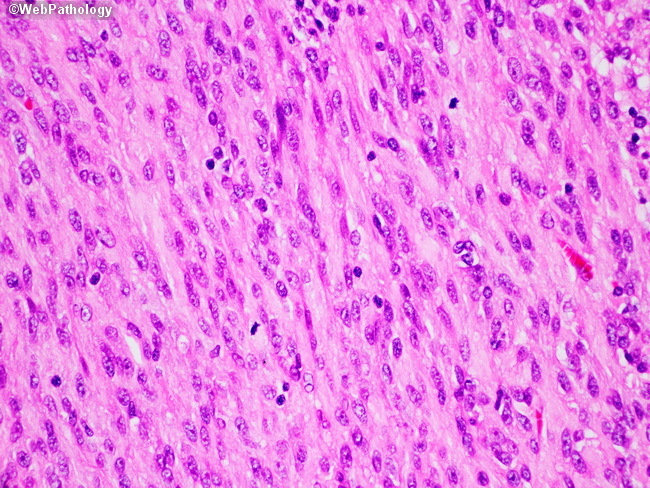 This tumor shows plump mesenchymal cells arranged in a vaguely fascicular pattern, with lymphocytes present in the background. These tumors often harbor KIT mutations, confirming that they fit into the category of GIST. The term GANT is no longer favored.